“Comfortable bed, warm shower (...) a perfect fit for our little getaway." Quietly tucked into the the north and east corner of the second floor in the main house, this spacious yet cozy and bright room provides a welcome retreat after a day on the trail. 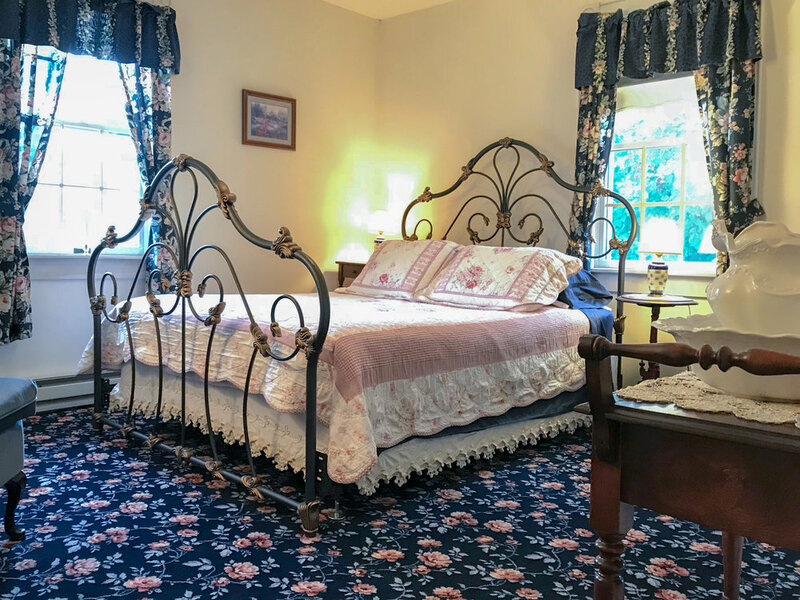 Furnished with ornate iron queen size bed, wingback chair and full bath. © 2018 Andor Wenneson Historic Inn. All rights reserved.